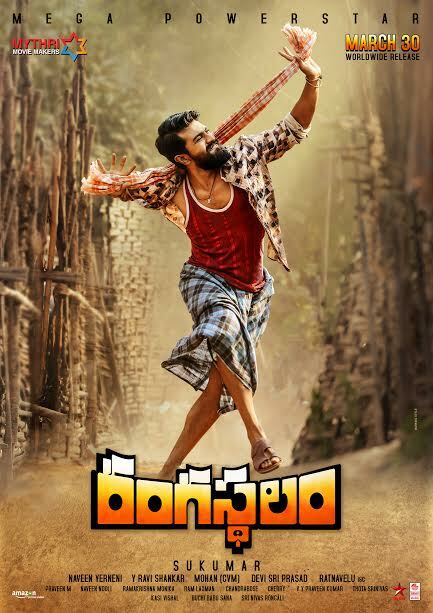 Mega Powerstar Ram Charan’s upcoming mega venture, Rangasthalam, directed by one of Telugu cinema’s renowned directors Sukumar, produced by the production house known for their impeccable box office record, Mythri Movie Makers is set for a grand release on March 30. The first look of the film released today is met with a grand reception from the audience. Cast: Ram Charan, Samantha, Jagapati Babu, Prakash Raj, Naresh, Aadi Pinisetty, Anasuya, Pujitha Ponnada and others.